Do you know how much sugar is in your Starbucks drink? A campaign from a British nutrition advocacy group is bringing attention to the "shocking" amount of sugar in many of Starbucks' beverages. Action on Sugar, which describes itself as a group of specialists concerned with sugar and its effects on health, released a report ranking some of the coffee chain's popular drinks on the amount of sugar they contain. For comparison, a can of Coke contains 33 grams of sugar. The American Heart Association recommends limiting added sugar to 9 teaspoons (45 grams) a day for men and 6 teaspoons (30 grams) for women. "These hot flavoured drinks should be an occasional treat, not an 'everyday' drink," Kawther Hashem, a registered nutritionist and researcher for Action on Sugar, said in a statement. "They are laden with an unbelievable amount sugar and calories and are often accompanied by a high sugar and fat snack." The worst offender, the group reported, is Starbuck's venti hot mulled fruit -- grape with chai, orange and cinnamon -- with 99 grams, or 25 teaspoons, of sugar per serving. This drink is not sold in the United States. The group also included drinks from other companies in their analysis, including McDonalds, KFC, Pret a Manger, and several European-based coffee chains. Nutritional information was collected online, in stores or directly from manufacturers. 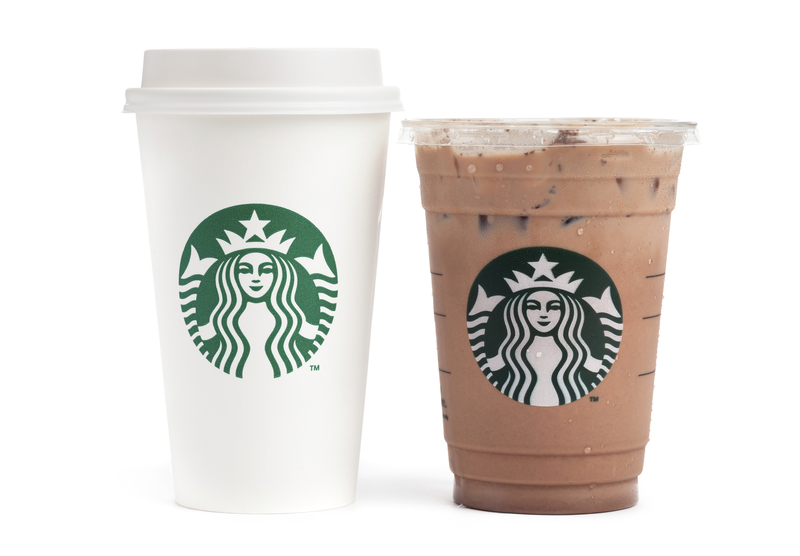 Starbucks makes nutritional information on all its products available to customers on its website. While Dunkin' Donuts is absent from the group's survey, as there are no shops in the U.K., many of the chain's beverages are also loaded with sugar. According to the company's website, a large caramel latte with milk and a large French vanilla swirl hot latte both contain over 13 teaspoons of sugar. Action on Sugar also makes policy recommendations to help reduce consumers' sugar intake, to help alleviate the burden of obesity and type 2 diabetes. It promotes color-coded labeling on all foods and drinks to identify those with high sugar content, and a ban on advertising of unhealthy foods and drinks to children and adolescents.